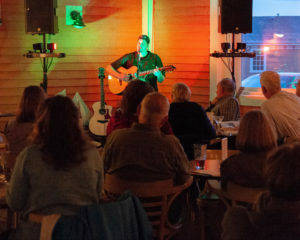 Mike Sixonate will perform his first show of the 2019 Tourism Season May 17, 8:30 pm in Captain’s Pub. Mike knows how to entertain! An excellent guitar player and songwriter, he is also a grand storyteller and Master of the Screech In. There is a show six nights a week from Monday to Saturday. Don’t miss the opportunity to sing along with Mike …or…. laugh along! Folks are encouraged to get there a bit earlier to ensure a good seat – and why not have a bite to eat before the show!